“We are pleased to present this collection of research papers submitted for the sessions of the academic track at the Global Investigative Journalism Conference 2017 in Johannesburg. Except for two papers, all research was presented at the conference by the authors and you can find additional material for some of their presentation at the conference’s Tipsheet Page. 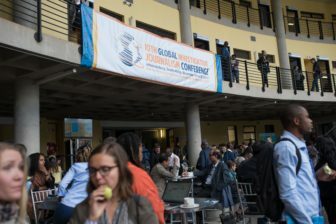 Some of the authors’ sessions also were reported on and you can find those articles at gijc2017.org/category/academic. The collection brings together views on investigative journalism from across the globe. A recurring theme is the influence of technology on reporting and the use of data in reporting. The authors explored the limits of using data, the impact of social media, visualizing networks, and quality indicators for data. A second theme was the challenges investigative reporters face in different media landscapes. The authors detailed the difficulties in a number of countries, including Mauritius, Russia, Saudi Arabia, Tanzania and Zambia.